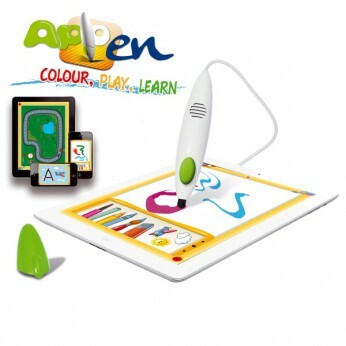 Appen is an exciting new innovation allowing children to enjoy learning, writing and colouring on a tablet. The pressure sensitive silicone nib works as a colouring pen, joystick and colouring aid when used in confunction with the dedicated FREE APP! Compatible with all android tablets. Plug and play…. This toy costs approximately £14.99 (for the latest and best prices make sure you check our retailer list for the APPen above). In our review of APPen we classed it as being suitable for ages 4 years, 5 years, 6 years, 7 years but recommend you check the manufacturer specific advice before purchasing.